Rhys Gray started his musical career at the age of 12, learning piano under the mentorship of Sally Ward. He went on to complete a Piano AMEB Grade 7 Practical Exam four years later, and learnt trumpet while at Taroona High School.. He undertook a rigorous music program at Elizabeth College studying Music 3, UTAS Music Foundation and Advanced Practical Studies, as well as participating in various ensembles and concerts. In year 11 he became interested in composition studying under Tasmanian composer Michael Sydney Jones at Elizabeth College. 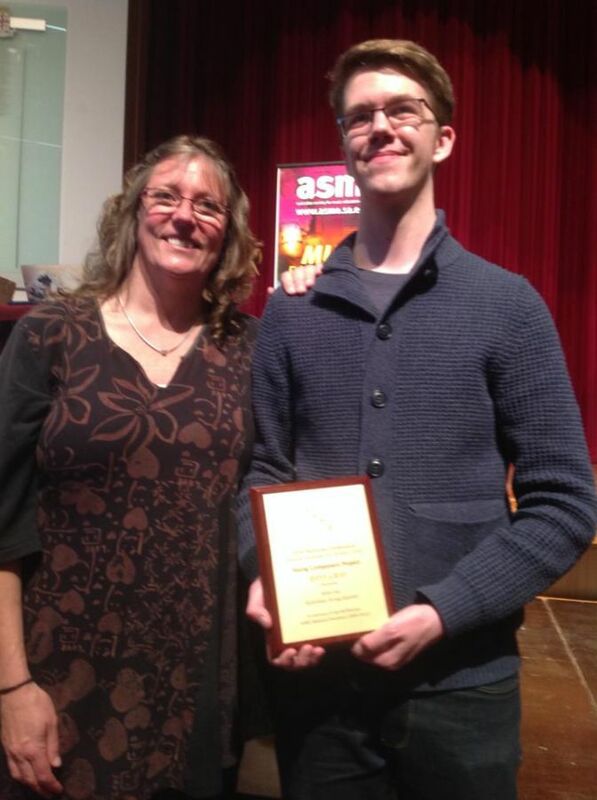 In Year 12, Rhys was a winner of the national Sydney Symphony Orchestra’s Sinfonietta Composition Competition, and enrolled in the High Achiever’s Program at the Tasmanian Conservatorium of Music. He is currently in his first year of a Bachelor of Music on scholarship, majoring in composition. Rhys hopes to find work in the music industry writing for groups, or scoring music for film. He spends his free time collecting keyboards, doting on his kitten, and repeating the same four bars of music until it is just right. Der Bildungsroman (literally ‘The Novel of Formation’) is a selection of pieces from my Monomyth Quartet, a suite for string quartet based on Joseph Campbell’s book on comparative mythology The Hero with a Thousand Faces, which attempts to define the narrative pattern of “a hero’s journey”. In Der Bildungsroman, I focus more on the emotional journey, dealing with introspection, consequences of actions, maturing, and finding meaning in life. As a young person, I am still developing, and often find parallels in my music with my own life. I invite the listener to embrace the idea of the monomyth, and craft their own narrative to reflect upon.